Cold Craft Trained Technicians, The Most NATE Certified Techs, Diamond Certified Organization, BBB Accredited. Cold Craft is the oldest Diamond Certified HVAC Dealer in Santa Clara County. 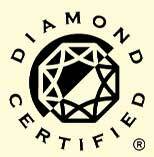 Customers dealing with Diamond Certified companies are protected by a money back guarantee and the Diamond Certified dispute resolution process. Cold Craft must maintain a 95% customer satisfaction rating based on independent 3rd party surveys to remain in the program. NATE stands for North American Technician Excellence and is recognized as the premiere testing and certification organization for the heating, ventilation, air conditioning and refrigeration industry. Only a small fraction of HVAC contractors have certified technicians. As of 2011 there were only 7 contractors in the South Bay Area that have at least 50% of their technicians NATE Certified. Most of our technicians have clearances to work in high security areas. Cold Craft routinely performs work for the Department of Justice and the Department of Defense. One of the most valuable services we provide to our customers is peace of mind. Cold Craft installers and service technicians receive the highest level of training in our industry. On average, our technicians must complete a 5 level training program lasting 5 years. They attend training 2 nights a week until fully trained. This is the most extensive training program in our industry.